There’s nothing like a fresh, warm mango, ripened in the sunshine until, heavy with flavor and juice, it falls with a thud from its tree to the ground below. 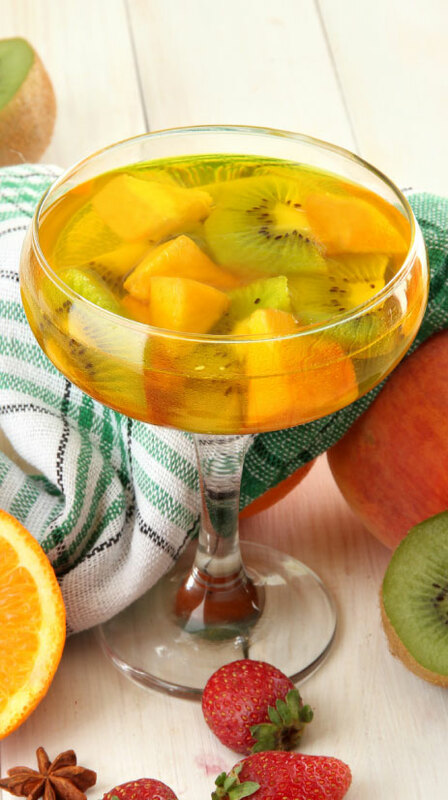 That flavor infuses this easy white sangria recipe with a sultry, festive, deep-tropical flair that pairs perfectly with salsa picante too. You’ve already got the mango. 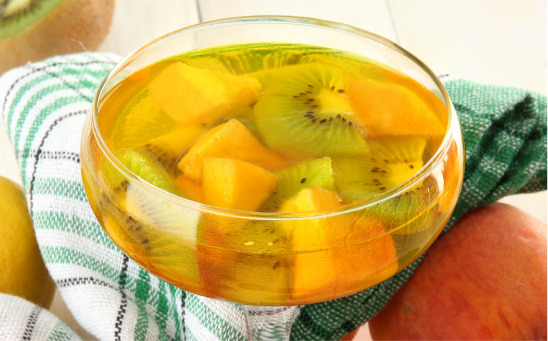 Kiwi slices go great in this one. But go ahead and let the spirit of the tropics inspire you. Guava? Papaya? Starfruit? Anything goes with this summer drink! And let’s face it, anything in your fridge would taste great—strawberries, peaches and oranges. 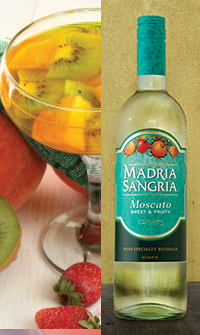 Pour the Madria Sangria Moscato into your favorite pitcher along with the juice, the mangoes and whatever other fruit you choose. If you like, add the rum and the sugar, and give it all a good stir until the sugar dissolves. Cover, and toss it in the fridge for a few hours. Add the lemon-lime soda just before serving. Serve in iced glasses. Don’t forget to garnish the glasses with fruit. But if you do forget, please don’t waste a moment worrying about it! Total prep time: Oops, we forgot our watch.